Ok, so Shakira’s album “Laundry Service” has nothing to do with the commercial textile industry. It actually has nothing to do with laundry at all. But while we are on the topic of Commercial Laundry let’s discuss some of the factors that are necessary to operate a successful linen service. 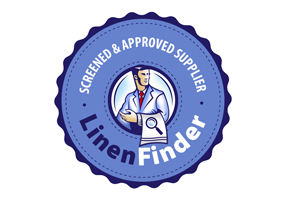 Linen service companies are constantly dealing with large loads of soiled linens and any laundering mistakes can be extremely costly! Proper washing of items is critical in running a smooth operation and depends on 3 important factors – Mechanical Action, Temperature and Chemistry. It’s hard to avoid the healthcare discussion if you’re a functioning member of society. As a company serving most industries in North America, we certainly don’t want to engage in this debate. However, there are things we can learn from how this plan has played out. The roll out of the Affordable Care Act over the last year can teach us about selecting a linen, uniform or towel service. We can just call it Obamacare, right? I mean, it is recognized officially by my iPhone auto correct. iPhone auto correct is sort of like the 2014 Webster dictionary. If getting new customers and repeat extended visits to your hotel is important to you as a hotel owner or manager then housekeeping should be at the top of your list of things to keep track of. Anyone who’s ever been a hotel owner or manager would love to think their staff is doing exactly what they are supposed to be doing at all times. Unfortunately, this is not the case. Whether intentionally or by accident, performance failures occur and managers lose control of the quality of the service provided by their employees. By recognizing common hotel housekeeping mistakes, both managers and housekeeping supervisors can save time weeding out the staff members who are under performing or doing just enough to get by.